The lure of Lunenburg is a magical thing, hard to define. Yet once you’ve found it, you’re hooked. You just know you’re somewhere very special. This place is a beauty with its glistening harbour, bright paint, and magnificent buildings. And the history is compelling; the story of a people – the Foreign Protestants, as our forefathers who founded this place in 1753 were called – finding their home, and building it to fame and fortune by becoming the finest fishermen and ship builders the world has ever seen. Our UNESCO World Heritage Site designation confirms it – Lunenburg is authentic and unique. 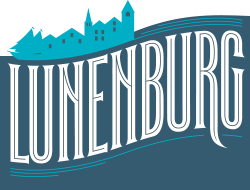 The designation by UNESCO is based upon Lunenburg’s status as “the best preserved North American example of an eighteenth century British colonial town plan.” When you visit Lunenburg, take the time to get to know her. With many wonderful places to lay your head at night and another great menu around every corner, the foundation is laid for a perfect vacation. Days of excitement and entertainment await you: tours by land and sea, galleries and shops galore, museums to delight you, music, plays, beaches, and more. There’s no need to rush off. Take your time. We’ve been planning your visit for over 260 years.